Our new technology-focused platform empowers mortgage brokers to close loans without the traditional dependence on the lender. It starts with TRANSPARENCY. Know the status of your loans, work completed, open tasks and when you’re closing -- 24 hours a day, 7 days a week. Having this information at your fingertips means providing your clients the peace of mind they need. We’re doing more than just showing you behind the curtain. 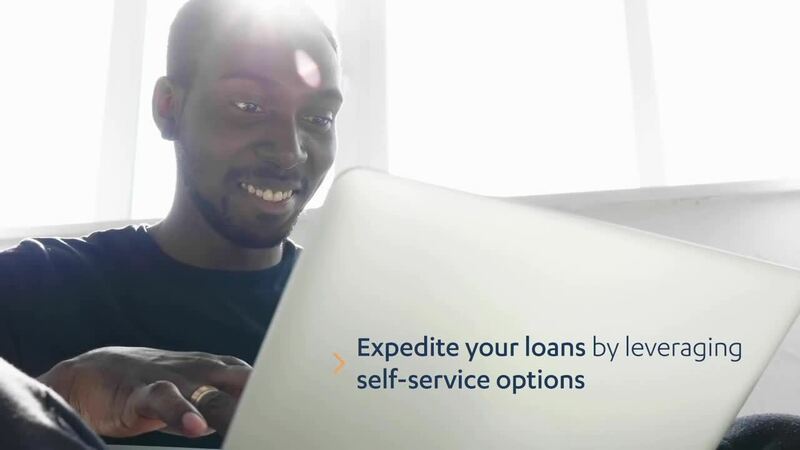 We provide you the AUTHORITY and ACCESS to expedite your own loans by enabling self-service options typically performed by the lender. Take control of your transactions and partner with us to meet the needs of your clients. How do I become an approved broker or anon-delegated correspondent? If I am an approved Wholesale or Correspondent Portfolio partner, can I also be approved for Wholesale Mortgage Express? Yes, if you are approved, you can deliver loans to our Wholesale Mortgage Express channel. Please reach out to your Account Executive or [email protected] for more information. How do I set up initial training? Email [email protected] with your name and the days/times that work best for you. Because of the substantial benefits provided through the channel, Account Executives are not necessary. The savings can be passed on to you through competitive pricing. Our comprehensive training will help you drive your loans forward through a streamlined process. View Pricing, product, and guideline information 24/7 here. Will Axos Bank re-pull a credit report on my borrower? Only if it is a Non-Conforming Prime Jumbo or Enterprise Non QM product. On Non-Conforming we can reissue a report pulled by First American CREDCO. We may share your data; please see our Privacy Statement for more details. Who sends the appraisal to the borrower? Axos Bank will forward a copy of the appraisal to the borrower. What is the Mortgage clause? Is there a minimum net worth requirement? We do not have a minimum net worth requirement for brokers. We do have net worth requirements for Correspondent. Please reach out to your Account Executive or call 844-WME-AXOS for more information. What are my options for Lender Paid Comp? We have six different options for WME brokers. Please email [email protected] to request a call or more information. Lender fees, when applicable, are as follows: Underwriting - $815 Foreign National Due Diligence - $250 Trust Review - $300 View the Wholesale Mortgage Express Rate Sheet for additional items including Appraisal Desk Review, and Redraw Loan Documents. How do I upload a loan? Select the "Upload a Loan" tab on our WME Broker Portal to upload your loan file. The loan file must be a Fannie Mae 3.2, Mismo AUS v2 file, or an IHM file. Log in to our broker portal and select the appraisal tab. You have the option to order from Solidifi or Servicelink in our portal. Select Wholesale Mortgage Express to get the correct pricing. What is Axos Bank's security policy? Security is a very high priority for us. To learn more, please read About Our Security. What is the address for the Closing Protection Letter?